The Griot's Work is Never Done IV | Irene Abdou Photography, LLC - Travel. Lifestyle. Documentary. NGOs, Development & Public Health. 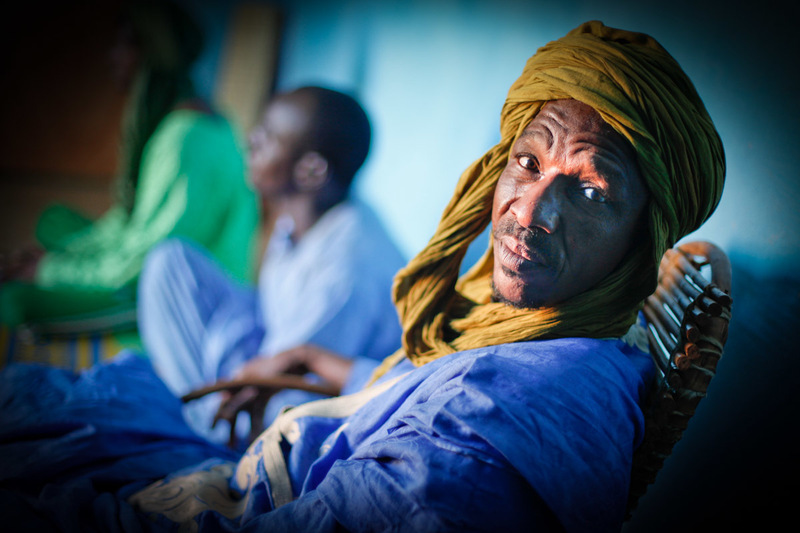 In Muslim West Africa, during the days leading up to Tabaski (Eid-Al-Adha), the griots work grows. Visiting families throughout the town, griots recite family histories through poetry, song, and music, refusing to leave the compound until the family pays them for their troubles. Here, two griots, one playing a traditional guitar, call on a Fulani family in Djibo in northern Burkina Faso. The third man in green - their assistant - is responsible for keeping an eye on the area and letting the griots know when a family member returns after a long absence.